Each year brings you more opportunity to enjoy life and have fun. 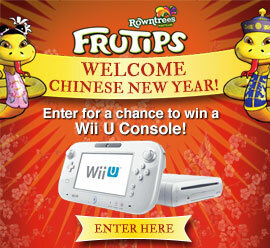 Enter the Rowntree Frutips Chinese New Year contest for your chance to WIN a Wii U Deluxe Gift Set! With this win I would be the very best Nana in the world. As you can tell I would give it to my little grandchildren. this would be a great prize to win. if i won this .me and my grandson would play games.